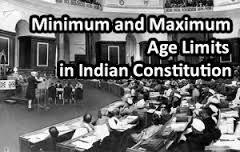 » Governor ( for each state) Articles 153 of the Constitution of India). 7. 18 years minimum marriageable age for a female.